This Belgian floral tapestry "Olde World Birds Of Paradise" shows flowers and an exotic bird. This decorative piece shows the beauty of classic styled Belgian floral decorative works where flowers and birds are used to create a fantasy scene to celebrate the beauty of nature. 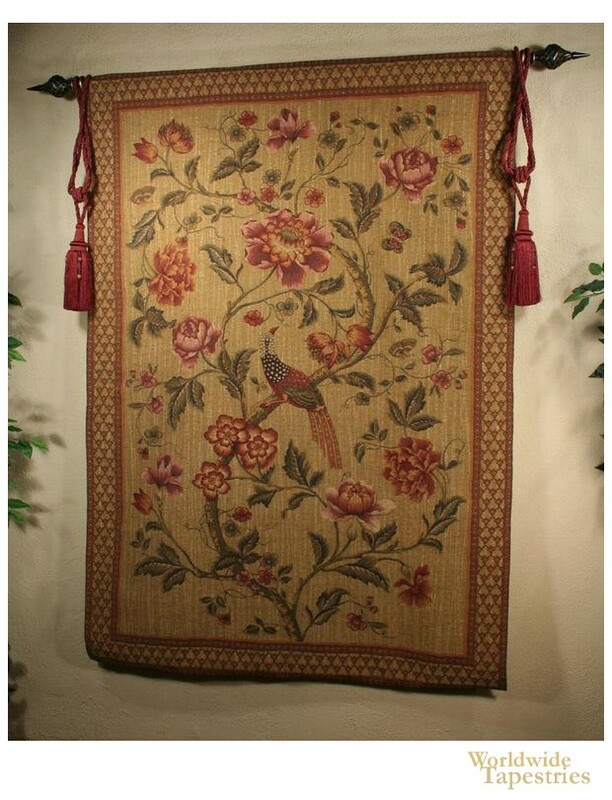 This "Olde World Birds Of Paradise" tapestry is backed with a lining and has a tunnel for easy hanging. Note: tapestry rod and tassels, where pictured, are not included in the price.